As Aang, Katara, and Sokka, venture deeper into the Earth Kingdom, they encounter Haru, a secretive earth bender from a village controlled by the Fire Nation for its coal deposits and where earth bending is illegal. After Haru is captured, Katara resolves to free him and his fellow earth benders. Also, lemurs may be earth bending. Noteworthy events include George Takei as the Warden of the Fire Nation prison and the first time we meet Haru. It's also the first time we see the practice of imprisoning earth benders on open water, later used in the Legend of Korra. Aw man. I was totally going to leave a one-sentence reply with "That lemur! He's earth bending!" But you already mentioned it. Darn. Haru shows up in the first video game as a playable Earth Bender, and he's good enough - his moves aren't as awesome as Aang's super tornado, but, then again, what would be? I like this episode, but, really, the only thing that moves the plot along is Katara's necklace falling off. Everything else is just there to say "Fire Nation is bad." Which we kinda figured from, y'know, the genocide. But that lemur! He's earthbending! We see the Fire Nation's tactic of stifling rebellion through continual rounding up of *benders and taking away their power, reducing them to basic manual laborers. And standard thug tactics of running a protection racket. So hey, the Fire Nation isn't only about genocide. We also see Katara's role as an inspirational speaker/ rabble rouser/ leader of the rebellion, counter to Sokka's role as "let's save our own asses and get out of here," a bit of role reversal from the first episode where Sokka was the lead/lone warrior, defending their home. Introduction of metal not being useable material for earth benders. I remember arguing with the episode about that and being very satisfied later. I love the kids' attempt to get caught earthbending. And I love how the Fire Nation soldiers often have these silly little moments that show they're just folks. The very limited number of truly evil characters (or perfectly good) is something that's so important to me. I've gotten a lot of parenting mileage out of the moral gray areas in this show. To long for posting thoughts here, but here's some much shorter thoughts. Going into the rewatch, I was really thinking much more along Katemonkey's line of thought. It's generally an episode to flesh out the wickedness of the Fire Nation and drop off the necklace, but (fourth's time a charm?) I decided to watch it again looking for more. I definitely got caught up on the episode serving as an introduction to Katara and perhaps, her most powerful weapon, her hope and optimism. It's the running theme of the show, and which bleeds into what filthy light thief mentioned, her place as an inspirational speaker. A pretty big point to me was that she only water bends once in the entire episode, when she's collecting water from the well. Every thing else that happens is based on her hope and optimism, and the determination that is born from it. Be it her plan to be captured to not quitting when it came to freeing the prisoners. The episode was our introduction to Katara's character, just like Kyoshi Warriors was our introduction to Sokka's. As an aside, it was another example of Sokka's ability as a strategist, which I never really picked up on in earlier viewings (and thus, helps me accept the pay off of the recognition of his abilities later on in the show). The humor in the episode was also trademark. "A flying bison, sir." "A flying buffalo, sir." "WHAT'S THE DIFFERENCE?!" "Well, sir....ARRRRRRRGH!" "Wake up the captain....." "Sir, that was the captain...." (And of course, the lemur bending). We also had a slight allusion to Indiana Jones and the Last Crusade with Momo's stone pounding and the librarian's stamp cancellation, both being accompanied by thunderous sounds. Also loved, "Act natural!" with Sokka and Haru kind of frozen in time discussing something. Katara's "cautious approach" when introducing herself to Haru was perfect, especially when that openness and its effects are contrasted against her later openness/optimism (and the eventual results) when trying to get the earth benders to fight. I did yell at the earth benders the second time Katara is speechifying ("oh come on, you stupid earth benders!"). I also yelled at the horrible old man who was trapped in the mine. Did Katara just walk right into Haru's house? I think the Fire Nation guy says something about it being a shop, but she just lets herself in. That seemed a little out of character. Everyone's already covered the best animal, which is obviously Momo and his magical earth bending. Haru was doing Aang's marble trick, right? I like how flawed the Fire Nation can be - I'm sure whoever made the decision to power the earth bender prison with coal is so, so fired. I guess I didn't see this episode so much as Katara's optimism as the complete and utter depression that had come over the Earth benders on that ship. They'd been just spiritually defeated that they didn't even want to try anything. They really needed a (coal) fire under their butts to realize how much power they had. Next closest thing to it, at the least. No, it was a shop in town. Haru's house is a small farm or something outside of town. I really want to know more about that old man. I originally thought he received some kind of award for outing Haru, but that never happened that I saw. I mean, what a jerk! A lot of Avatar touches upon how the Earth Kingdom and its people react to and deal with the Fire Nation invasion and occupation efforts. The very first set of Avatar comics actually deals directly with the aftermath, for example. We encounter a lot of different reactions with this being the first such circumstances (or if you've already seen the series, you know all about them!). I think their utter hopelessness was less the central focus than the major obstacle that Katara must overcome by virtue of her inherent optimism/hope fueled determination. The whole plot line of the episode is initiated by those same traits with her rushing out to greet the mysterious bender. Likewise, it's her beliefs which result in Haru being arrested and ultimately saved. The obstacles she overcomes grow in size from convincing Haru it's okay to earth bend (okay, that was a BAD choice thanks to Mr. Jerk Face McJerkface), to getting herself arrested, and finally to convincing the earth benders to find it in themselves to fight back against the Fire Nation. 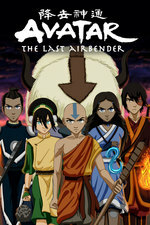 Remove Katara, Haru stays in secret and the earth benders remain imprisoned (and even Jerkface McJerkface dies). Had she even given up after her first time trying to rouse the earth benders, then things would have remained the same. The coal may have lit the fire (KUDOS on that!) under their collective butts, but she was the inspirational coal and provided the physical coal. The key to it all is Katara and her character. This is my least favorite episode of the series, because it's the one that didn't get me into Avatar. I was channel flipping and caught the episode starting from when Katara finds out Haru has been captured -- was intrigued enough to watch to the end, but came away with the conclusion that it was nice kids these days could watch a cartoon where one of the main characters was a girl with dark skin, and didn't think on it again until a couple of years later, when my brother persuaded me that no, this show wasn't just for kids. Having watched it 2.75 times now, I've finally realized that the problem isn't the writing or the voice acting -- it's the character design. Usually Avatar is so great about making even minor characters and extras look fully realized -- like they have personalities and quirks of their own even if we never see them. I don't know what happened this time, but besides Zuko and the Gaang looks bland and kind of ill-defined, like they have fewer lines and details (I don't know if that's actually the case). Even Haru looks like a Disney Prince, and that's why it's hard to get invested in him as a character. Even the first time I watched this ep I did appreciate the way the story set us up to believe that Haru would join the team in typical kid's cartoon fashion, and didn't go there. It's subtly done -- there's no big moment where Katara asked and he turns her down, but it works all the better for that. The character design was pretty weak in this episode and I'm not sure if part of it was an intent to portray the earth benders as one group crushed by hopelessness or not. Haru, however, I was never a big fan of, and I'll admit now, weeeeeeelll in advance, that when we see him later, upgraded with a mustache, he looks even more ridiculous. ('STACHE SPOILER, SORRY). It's interesting what you guys are saying about the character design. I remembered most of this episode without actually remembering Haru or his family as specific named characters, and the design being part of that makes sense even though I hadn't noticed it as a weakness of the episode. I mean, I've watched the last episode a bunch of times (because my kid likes it) and there's an offhand line about Haru which has been itching my brain for ages because I couldn't put a face to the name; I thought maybe he was one of Jet's friends. For another character whose name starts with Har- and who has a terrible mustache, see Harry Osborn. At least it makes Haru slightly more memorable visually. Slightly. Hey Atreides and Katemonkey, are we doing one or both parts of the Winter Solstice story tomorrow? Please say it's both because otherwise my favorite episode of the season will happen while I'm away from the internet for two weeks, sob. Katemonkey sat down and wrote out our posting schedule and according to it, it does look like she will make two posts tomorrow to cover both part 1 and part 2 of the Winter Solstice story. Specifically, like being trapped in the fog of [REDACTED] with [REDACTED] almost but not quite out of earshot. And needing to pee.